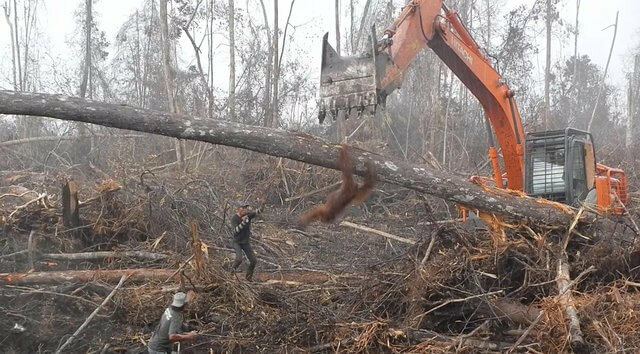 As an excavator crashed down on a pile of cut trees, a desperate orangutan leaped down a large trunk, trying to stop the machine with his hands. He tried clinging onto the cold metal but slipped and fell into the stack of trees which used to be his home once. The rain poured down as, shaking, he struggled to climb back up again. The whole forest around him had been destroyed. 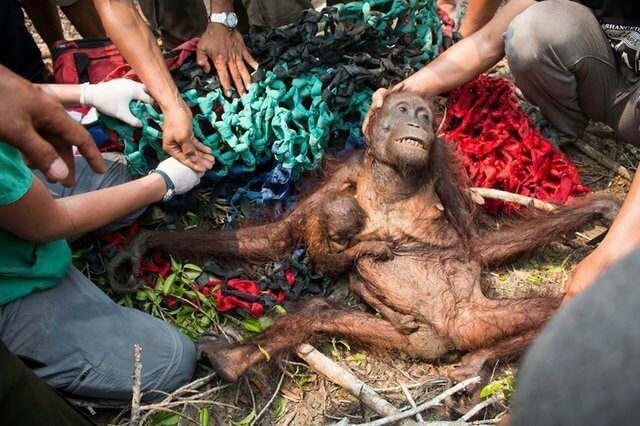 The heartbreaking scene was captured on camera in West Kalimantan, Indonesia, as a construction crew demolished a section of the Sungai Putri Forest, a habitat of critically endangered Bornean orangutans. 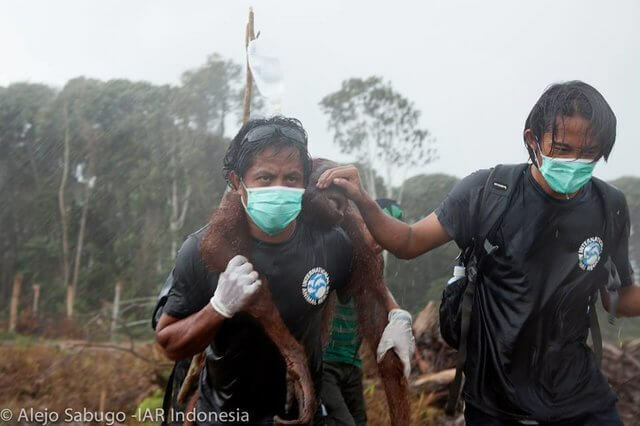 Fortunately, International Animal Rescue (IAR) was nearby and managed to save the orangutan and relocate him to a remote, protected area of forest. However, his desperate plight shows how far these animals have been pressured at the hands of humans. Sungai Putri Forest is among the very few homes left for wild Bornean orangutans — but it is under serious threat from the expansion of palm oil plantations and other development projects. A recent investigation by Greenpeace Indonesia revealed at least six illegal logging settlements existing in or close to this specific forest. The logging is considered to mostly take place at night, even in areas where mother orangutans have built nests to raise their babies. 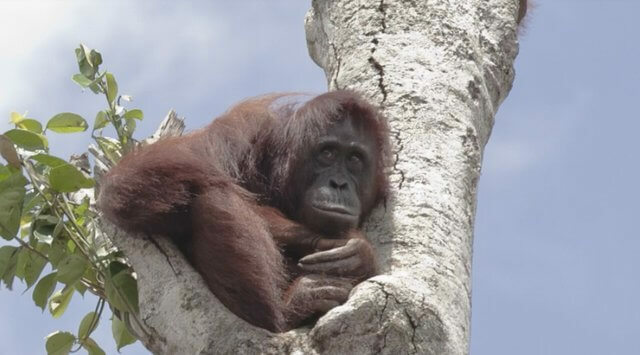 To help save Bornean orangutans, you can donate to International Animal Rescue. You can also spread the word regarding how palm oil destroys their ecosystems and try your best to not buy products that contain palm oil. Previous article What Are the Potential Adverse and Damaging Effects of 5G Technology on Our Overall Health? Next article Solar Eclipse July 2018 — Time for Change and Rebirth: Prepare Yourself for Something New!